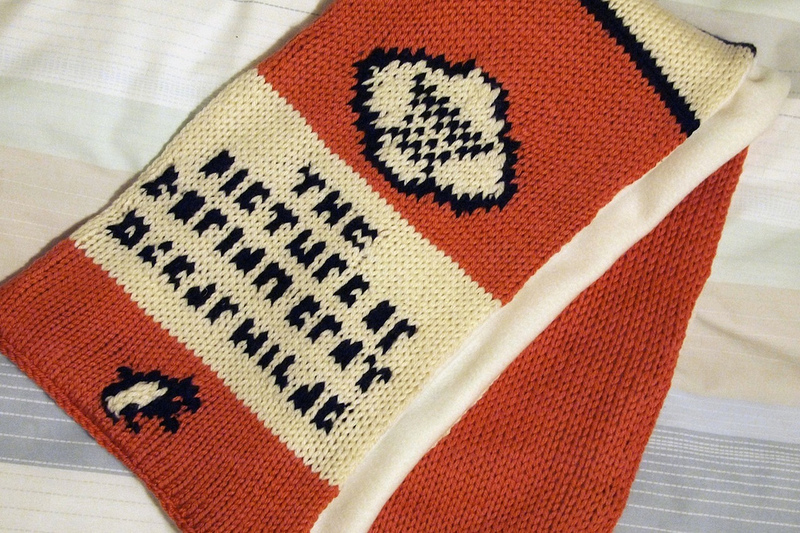 Surely Oscar Wilde would have enjoyed this scarf as well. Knitted by Katie Marcus as a Christmas gift for her sister. Read more about it here. 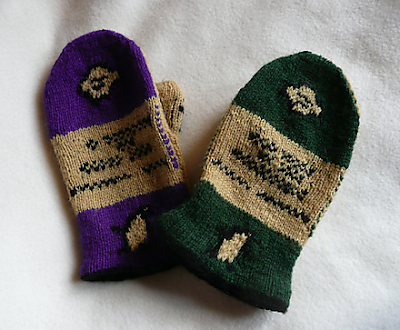 Her Penguin scarf was actually a perfect sequel to Anna Fisk's Paperback Mittens. I hafta have some Penguin socks! When will they be on the market in Seattle? 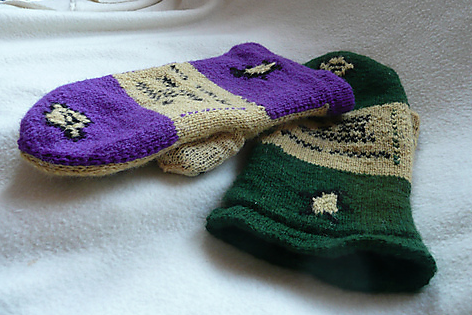 Sorry Tom, it will be a cold day in hell if I'm the one who has to knit them. A Love Target or Surveyor's Mark? Please Use Your Library Voices Here!